The interactive map above shows the current air quality forecast for Hampshire. The map is coloured to show its level which is either "Low", "Moderate", "High" or "Very High". If it is currently "Moderate" or higher you can click on the map to see the detailed forecast for air quality. 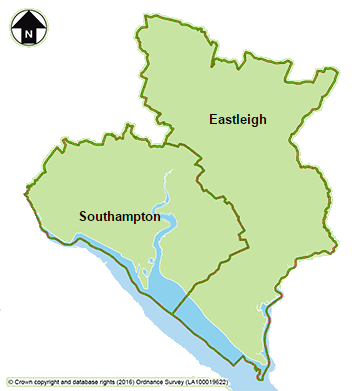 airAlert is a FREE service, provided by Southampton City Council and Eastleigh Borough Council, that will send free messages to your mobile or home telephone, informing you that poor air quality is predicted in your area. You can register FREE for airAlert on this website. Please go to the registration page and fill out your details. Your data will be securely stored online and you will be able to log in and change your airAlert delivery and account details. You can register FREE for airAlert by downloading the iOS and Android apps. Alternatively please go to the registration page to fill out your details to receive the alerts via your choice of SMS, voice messaging or email. Your data will be stored securely.